Josie Cunningham has let her Twitter followers that she is not at all happy about the latest addition to the Royal Family. In a tweeting rant, she claims that Prince William should have had a vasectomy soon after the birth of baby George and called people hypocrites for getting excited about the new arrival. Prince William and Kate Middleton are currently expecting their second child at any minute now but remain at Kensington Palace for the time being. Middleton will give birth at the Lindo Wing of St Mary's Hospital in Paddington where a recent beefing up of security sent people into a frenzy over whether or not she was after going onto labour. 24 year old Cunningham, who became a national hate figure after getting a breast enlargement at the British taxpayers expense, tweeted "So, the people who call me a scrounger are excited for the Royal Baby today!? You do realise it's your taxes paying for it, right? HYPOCRITES"
Cunningham added, with some erroneous grammar, that she does see there are some reasons for Kate and William to have another baby before suggesting a vasectomy was in order saying "I understand the royals bring in tourism, but one kids is enough!? 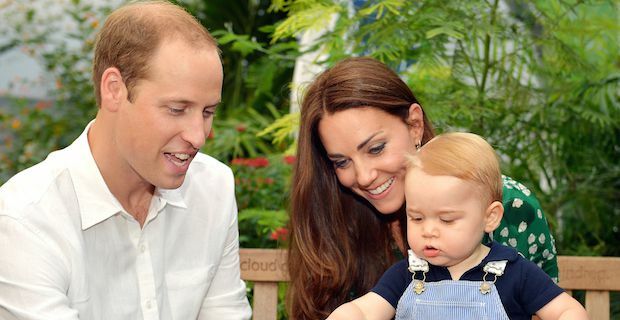 Prince William should have had a vasectomy after lil baby George." Guess love and raising a family just does't resonate with Cunningham as a possible reason for the new arrival. Needless to say, Cunningham's rant led to her getting slated online with @ChloeLittle91 saying "@JosieCOnline you are laughable! The only person who needs sterilising is you! Its worrying that your genes are being passed on" and @Mug2Punter tweeting "If you're helping yourself to my taxes to feed your 3 kids then you *are* a scrounger.... cuts both ways love."